This report is written 16 days after the vulnerability’s initial disclosure. 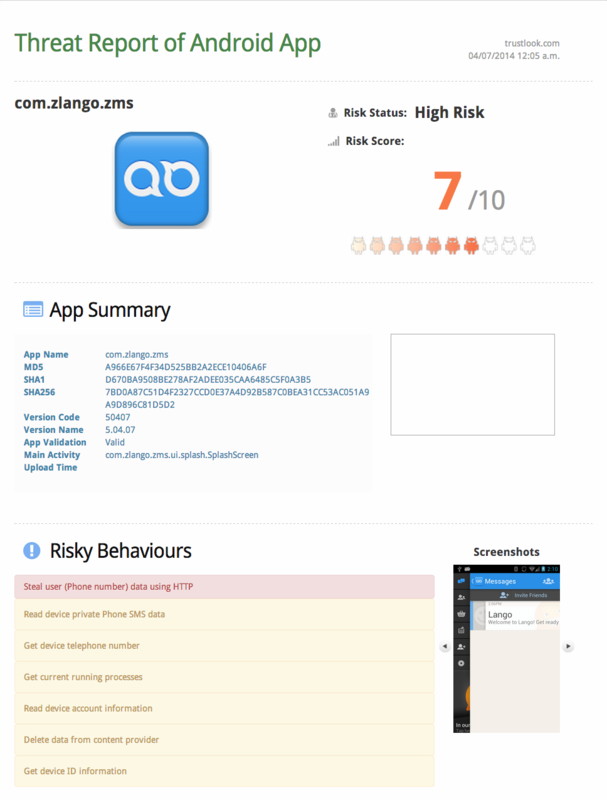 The Trustlook team has analyzed Alexa’s top 1 million websites and over 120,000 apps from Google Play. 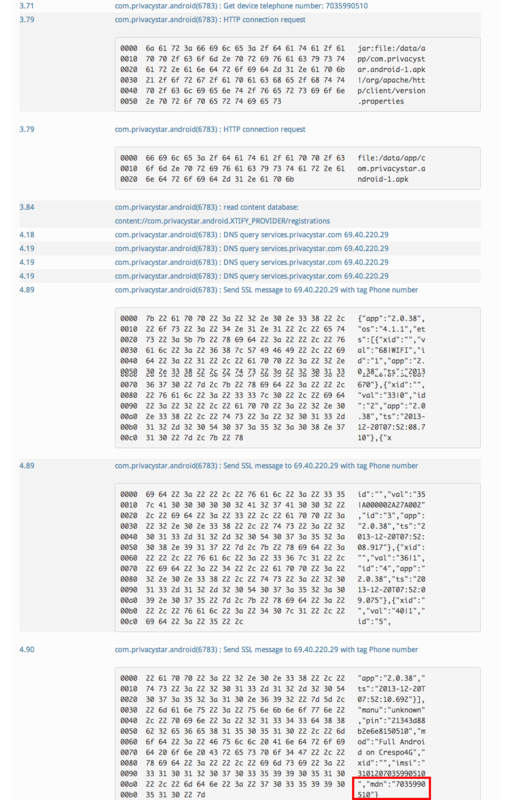 To show you Heartbleed’s aftermath after 2 weeks and onward. 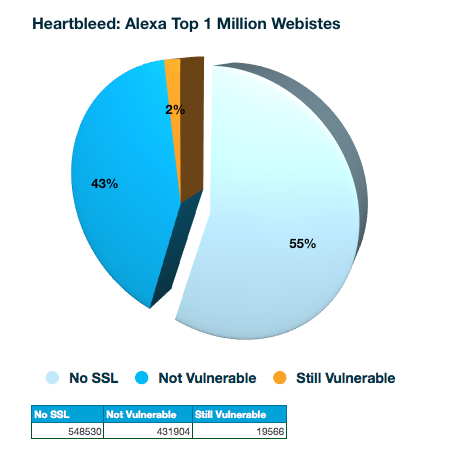 According to the scan results of the Alexa top 1 million websites, 451,470 websites have enabled SSL connections, and of them, 19,566 or 4.4% of websites are still vulnerable. 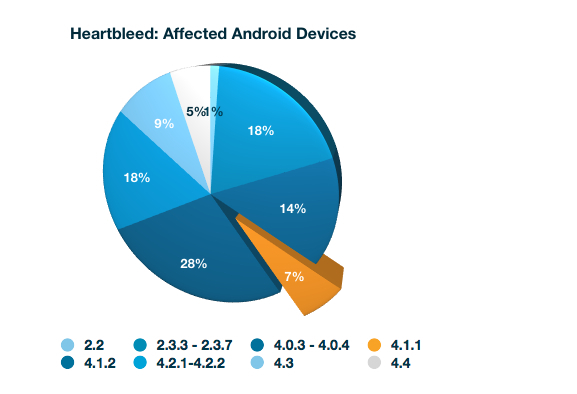 For mobile platforms, Android 4.1.1, which occupies 7% of Android market share, is vulnerable due to the OpenSSL version it used. What makes things worse is that Android is a highly fragmented OS, some 3rd party ROMs react slowly on patches and updates. 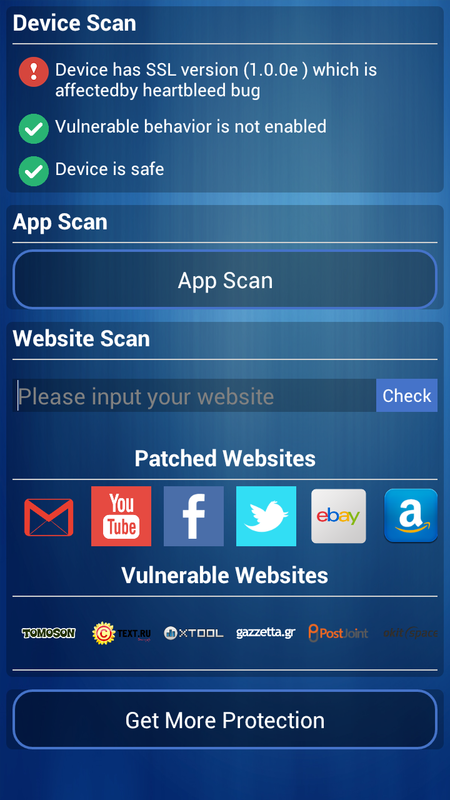 After scanning 120,000 apps from Google Play, 8.7% of the apps that enables SSL connection have been found vulnerable, which affects more than 150 million users. We know the Heartbleeding is going on crazy. As some of the mobile devices is also impacted. In order to easy your scan and testing work. 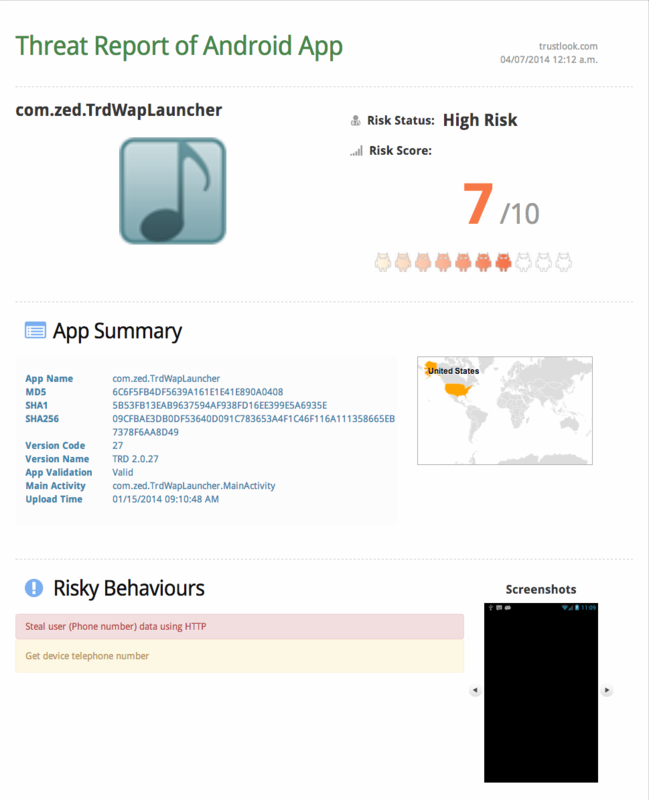 Here Trusltook Research team has released a tiny swiss army toolkit, Heartbleed Pulse in Google Play. The application is super easy to use, It contains three sections. 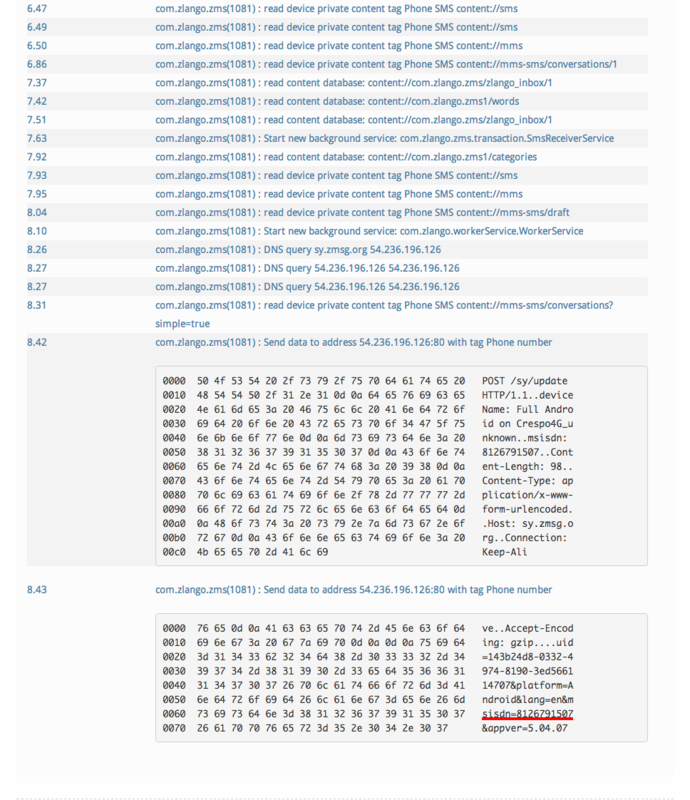 At the first section, it will show your device information which includes the OpenSSL library is vulnerable or not and has the heartbeat feature is enable or not. Third section listed some patched and unpatched website.If you want to test again your website, just fill your domain name in the text box and then click “check” button and The result will come back in seconds. If you want to get more protection, you can always download and install Trustlook Antivirus to get you more protection. You may have heard that Heartbleed is a vulnerability that mainly affect the server side, for example, leaking your session IDs, account passwords and cookies while you are surfing a website, regardless of what client side you are using, a browser or an app. 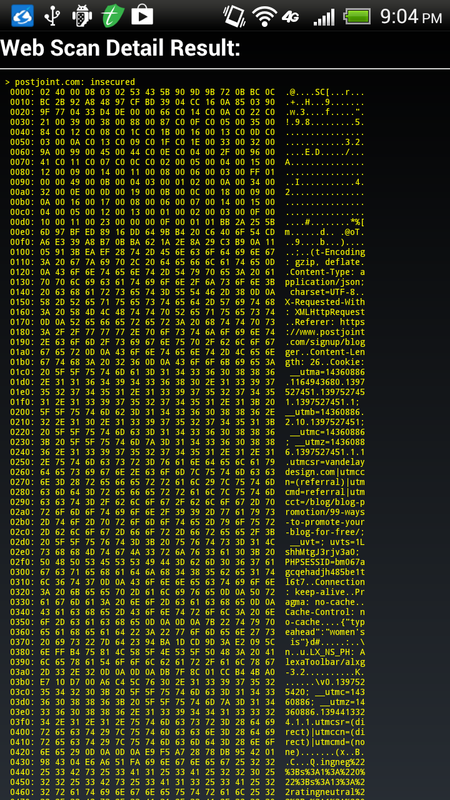 According to our scanning, we found 24 apps have accessed Heartbleed impacted URLs, which means all the data that app communicated with server are in danger of being compromised by hackers. 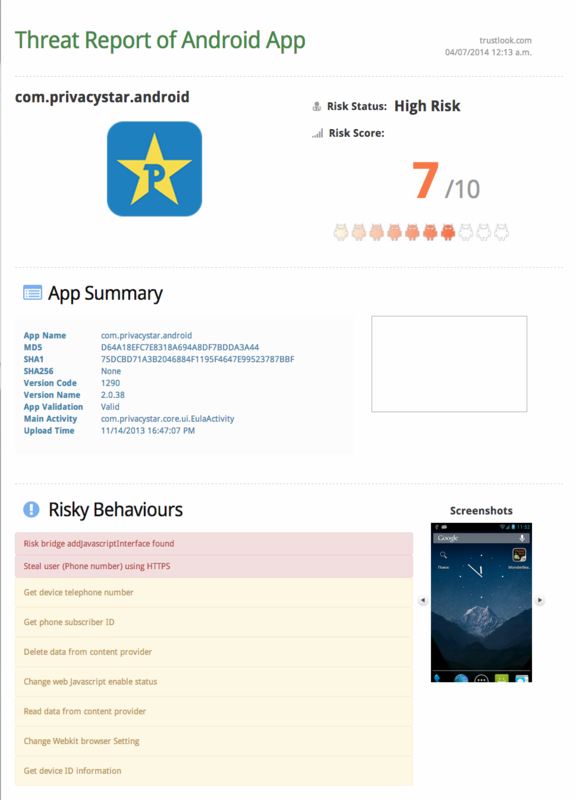 We already marked those apps as “High Risk” in Trustlook Antivirus. This is a follow up about our previous post. 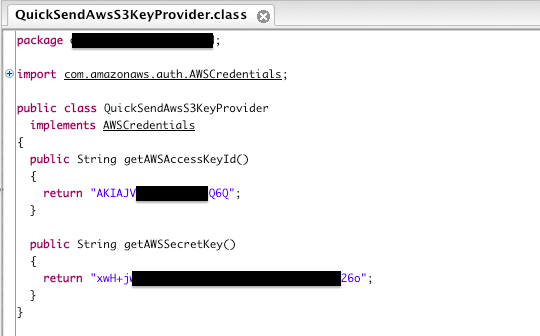 We have found a popular file management & cloud storage app “File Expert” (over 20 million installs) has leaked their AWS credential in APK file, which allows attackers to gain access of the Amazon cloud infrastructure. Trustlook has been worked with File Expert team and the problem has already been fixed. The original leaked key is no longer valid, and the newest version has changed the implementation on accessing AWS. As the fix is on server side, it can no longer be exploited regardless of the app version. We’ll keep update on our progress and discoveries on credential leak vulnerabilities. Apr 6: Vulnerability confirmed and fixed. Who is stealing your phone number? Phone number is your important privacy. Any apps should not send it outside without your approval. 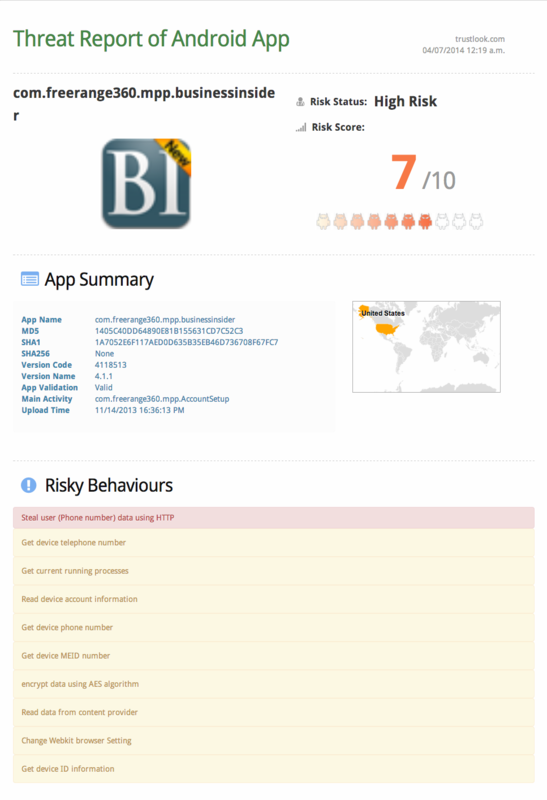 Every week we find hundreds of apps that have stealing behavior. Here are some of them that we found last week. 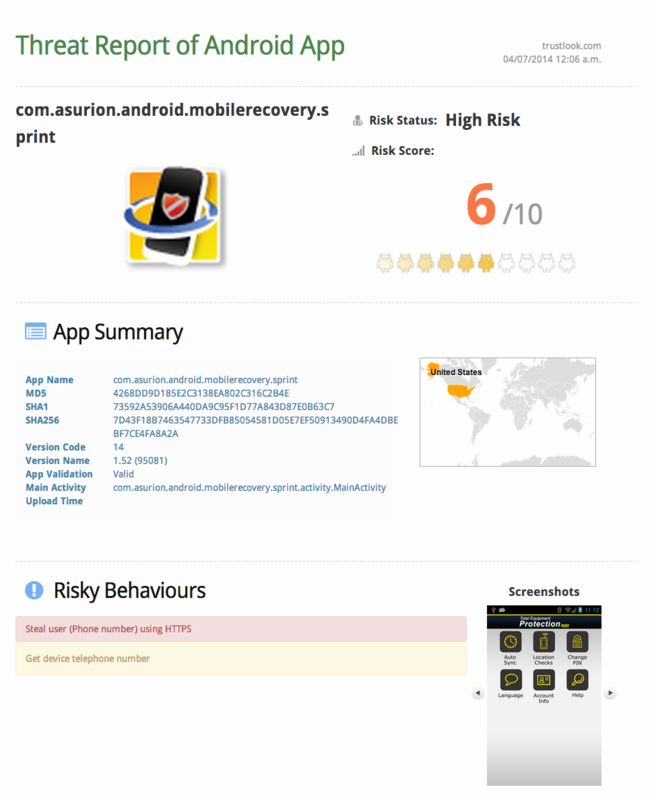 All of them has been identified as “high risk” on Trustlook Antivirus.